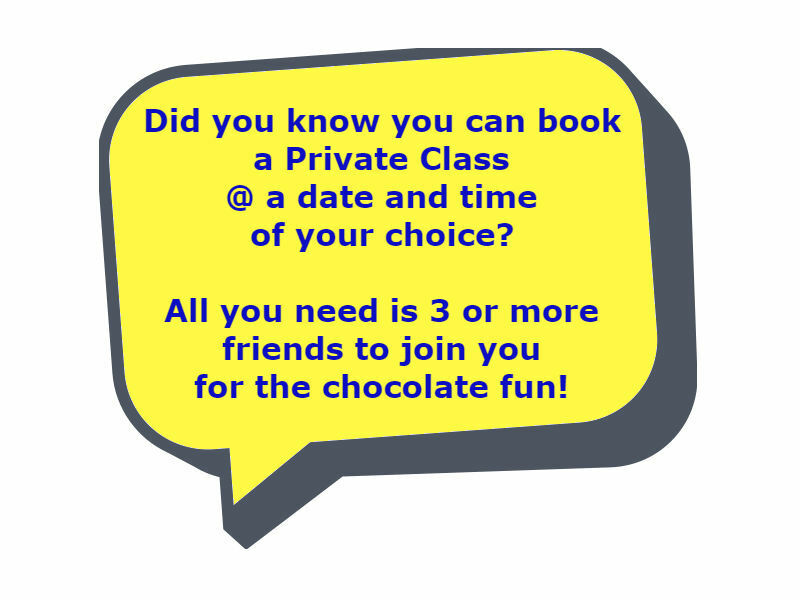 Chocolate Courses = fun for everyone! 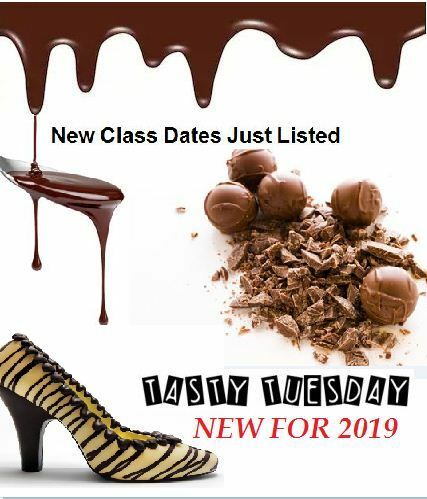 TASTY TUESDAY = NEW FOR 2019!!! Throughout the year we will be running a new Tasty Tuesday Program - this program will offer a selection of classes on the 1ST TUESDAY ONLY of each month between 10:30AM AND 12:30PM. It is a great way to spend a few hours playing with chocolate and learning a new skill. Plus everything is fully supplied for you so all you need to bring is yourself and your creativity. Open to people of all ages and no prior knowledge is required. 2 HOURS = $79 incl GST. 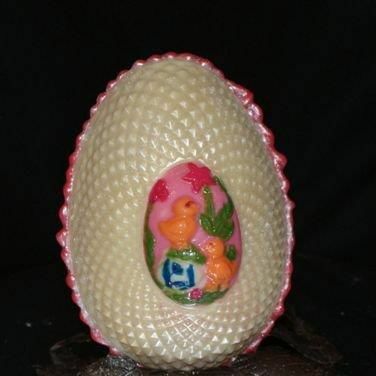 This Easter surprise your loved ones with your very own creative Easter eggs. In this experience we will show you how to mould your own 3D hollow Easter eggs and then decorate them through a variety of piping techniques, attaching garnishes and painting with edible chocolate paints. Just bring along yourself and your creativity and you will have a lot of fun! Everything is supplied including an apron! Not to mention everything you make in this experience you package up in cellophane and ribbons to take home, show off and then enjoy! This is a fun and indulgent short session on how to make delicious truffles using Cadbury and Nestle chocolate without any need for tempering. Making this easy for you to replicate at home. This hands on session will teach you how to create a soft center (each person can create up to 2 flavors) plus techniques for rolling and coating to create approx 20-25 truffles to take home. We also include techniques for piping extra chocolate over the top to decorate them in your own unique way. Everything you make in this session you get to take home with you - that is if you don't eat them all first! Open to all ages however if you are under 16 years of age you will need to attend with a parent. 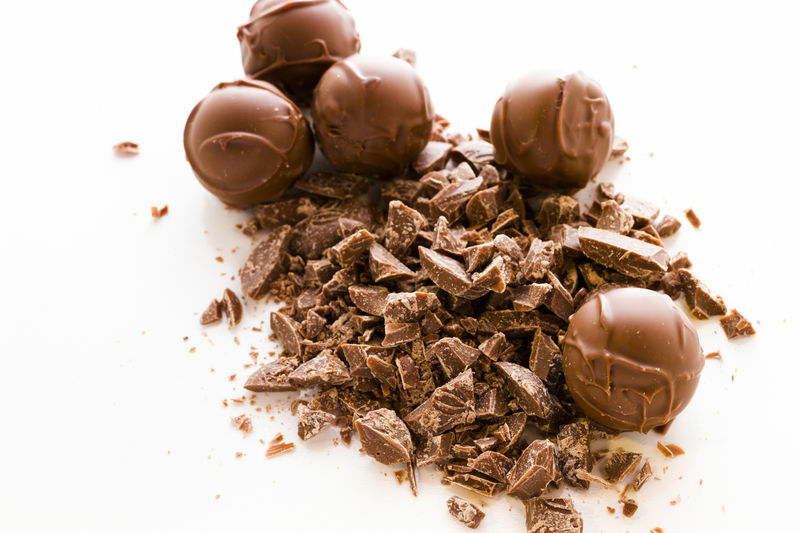 A course designed to kick start your chocolate making fun for any occasion. Learn how to make a range of chocolates including solid pieces, filled items and two ways of creating a 3D chocolate. You will also be using coloured chocolate to decorate each item with your own unique designs. Everything you need for this class is fully supplied including the aprons and gift bags because everything you make you keep! Looking for something fun for your family to do these school holidays? 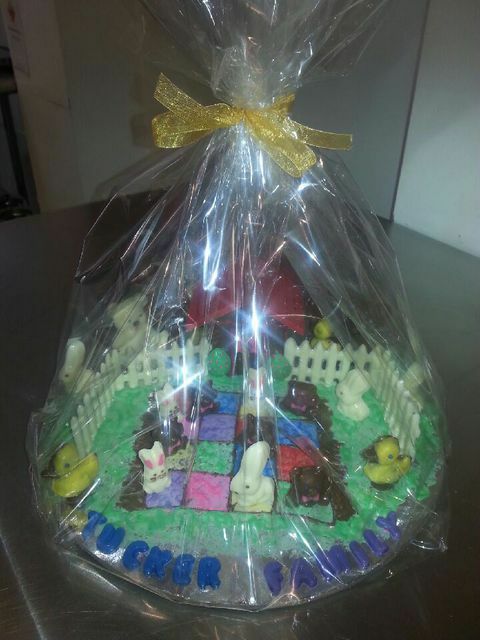 How about 2 hours of chocolate fun building a teddy bears picnic scene together. For only $89 you can attend as an individual and build your own creation or you can bring the family and share the fun building it. This is fun for all age groups. 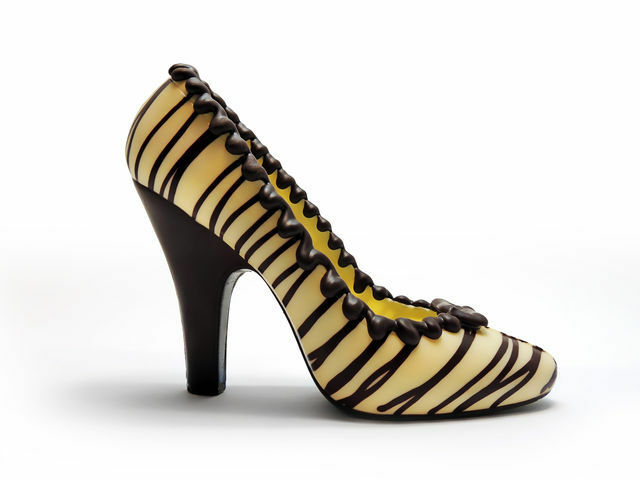 Bring to life your own style by designing your own Chocolate High Heel Shoe. This 2 hour class will have you hands on creating a large 3D hollow chocolate high heel shoe and some smaller ones to go with it. You will learn how to pipe with chocolate, use a variety of colours and decorating techniques to really bring your own creation to life! Everything is supplied in this session so all you need to bring is yourself and your creativity. Time to indulge the love of style and chocolate! With our newest class you will learn how to make your very own chocolate handbag along with some beauty accessories that every woman will envy! You even get to choose from white, milk or dark chocolate to make your creations. We provide everything for you including the aprons so you only need to bring yourself and if attending when the weather it is hot please an insulated cooler bag to take home your delicious masterpiece so it doesn’t melt on the journey home. We look forward to seeing you in this amazingly yummy new class. In this session you will be able to make chocolate lollypops and a range of novelty chocolates. Everything you make you keep so bring a big bag with you! Ever wanted to create your own gift boxes full of indulgent chocolate delights.... we now have a class to show you how! This 2 hour session is crammed full of creative chocolate goodness. Throughout this session you will be able to use fine quality courverture chocolate with a range of nuts and confections to create a range of indulgent gifts. Once all of your items have been completed you will then have the opportunity to create your very own Gourmet gift box to take home and show off. Please note that tempering the courverture chocolate is not covered in this session. This session brings you to a whole new level of truffle heaven. One of our most indulgent classes! 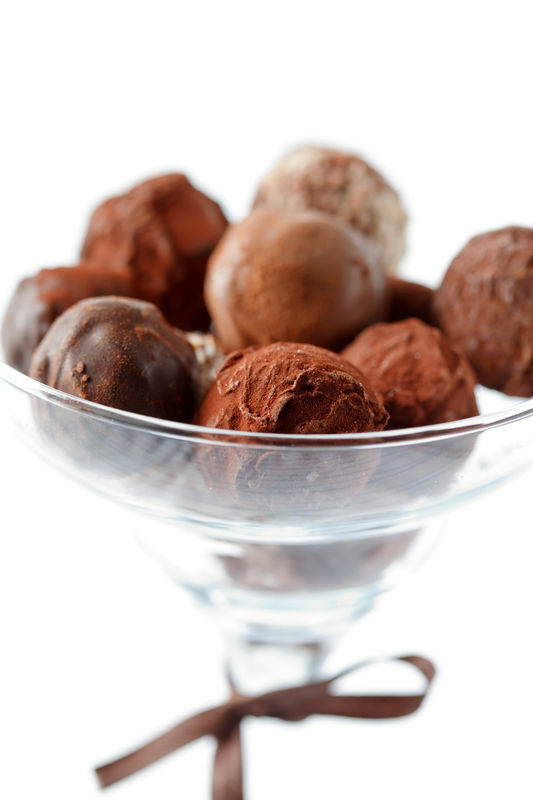 Learn how to temper chocolate and make Belgian chocolate truffles from imported Belgian chocolate and ingredients. This indulgent session is sure to please! 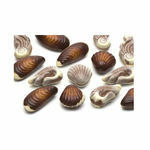 Learn the art of making Belgian moulded chocolates with imported Belgian Chocolate and fillings. You will be informed about melting and tempering curvature chocolate before using it to create your own Belgian Moulded chocolates. 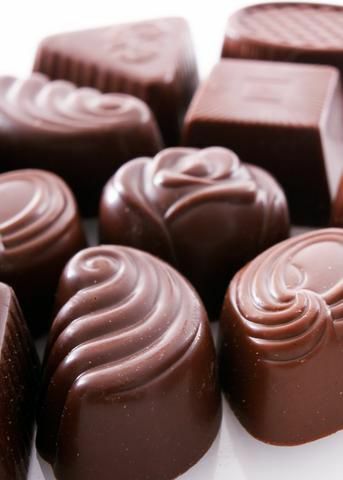 You will learn the skill of moulding, making a ganache, filling the moulds with the ganache and closing the chocolates. Having fun with chocolate and indulging yourself are the features of this course! This is a class that your taste buds will beg you to attend. We use the finest Belgian o flavored chocolate to create 2 soft and creamy centers that are then hand cut and individually dipped into more Belgian chocolate to create these hand crafted chocolates. Plus we will show you a number of ways to decorate the chocolates after dipping to add even more temptation for your senses! The tempering process of chocolate is also included in this class. Everything you make in this class you keep so please bring along a container to put them all in.... that is if you don't eat them all in class first! A perfect course for the chocolate and nut lover. Using Australian almonds paired with smooth Belgian milk chocolate we guide you through the creation of praline centered chocolates and delectable almond clusters. You will learn how to create a praline mix from scratch before combining this with premium chocolate to create a delicious filling. You will also learn how to prepare and form the chocolate cavities before filling with them with the praline and capping them with extra chocolate. Extra praline and almonds will also be turned into the most indulgent nut clusters during this class. This indulgent hands on class is not to be missed. PLEASE NOTE : We will be using pre-tempered chocolate for this class. To learn tempering please join in on the Belgian Truffle Class. Design your own 28cm upright Christmas Tree for only $79 per person. This will make a great addition to the centre of your Christmas table and it's edible! This 2 hour class will have you hands on creating a large 28ch tall Christmas Tree and soft centred filled chocolates to sit underneath it. 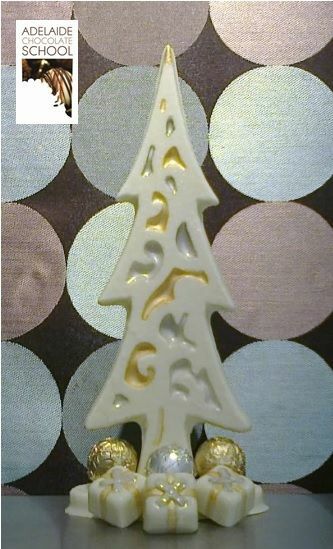 You have the choice from milk, dark or white chocolate to create your tree. Plus with the use of edible paints, decorations, coloured chocolate and your imagination you have all you need to create your own unique and special design. Everything is supplied in this session including the aprons so all you need to bring is yourself and your creativity. Everything you make you keep to take home and enjoy! Moulds and other supplies can be purchased after the class if you wish to continue the chocolate fun at home. This class sold out in every year since 2012 so be fast to book this year! $119 for 3 people, $129 for 4 people. Bring the whole family along to this class or a group of friends. 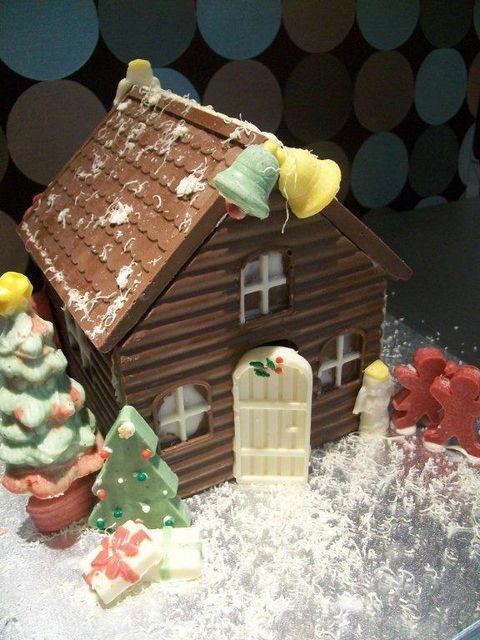 You will be moulding and building a full house (approx 18cm x 18cm x 16cm)and then decorating it by using your Christmas imagination to create a range of items that includes - Father Christmas, Mother Christmas, Christmas trees, sleighs, snowmen, angels and other chocolate Christmas characters.